Wallpaper Direct have been selling wallpaper online since 1999, and carry significant stock from over 11,000 different wallpapers and 4,000 patterns. Wallpaper Direct has over 40 members of staff and is part of the Brewers Group and decorator centres, that have more than 150 stores throughout the UK. 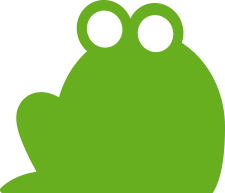 Wallpaper Direct approached Screaming Frog, after using a number of agencies and consultants over the years, who had provided both technical and link building services with fairly limited impact. A decline in core generic rankings for high volume key phrases had also resulted in a fall in organic traffic and revenue. Large household names had subsequently taken the very top positions in the search results, as Google continue to favour big brands. The main objective of the campaign was to recover and increase organic traffic and revenue, and help Wallpaper Direct improve international business. Our team devised an international SEO strategy with the client, which included a technical audit and SEO recommendations to correct the incorrect implementation of canonicals and international targeting. Our onsite SEO recommendations also included keyword research, improvements to on-page targeting, and keyword GAP analysis to identify opportunities to target additional keyword groups with new landing pages. Our content team then developed a fresh approach to link building, working alongside their external PR team, to help maximise coverage of the brand and new products to improve authority. The content team also developed a strategy to create content which helped users solve common problems and questions, but also fun concepts around popular themes and news for extra buzz and media exposure. Below is a small selection of mainstream and industry media coverage received from our content work. Wallpaper Direct have subsequently regained their 1st place ranking for key search phrases from years previous, against very big brands and high competition. Organic search visibility has increased by 67% over three years, with improvements in organic sessions, conversions and revenue, both in the UK and internationally.